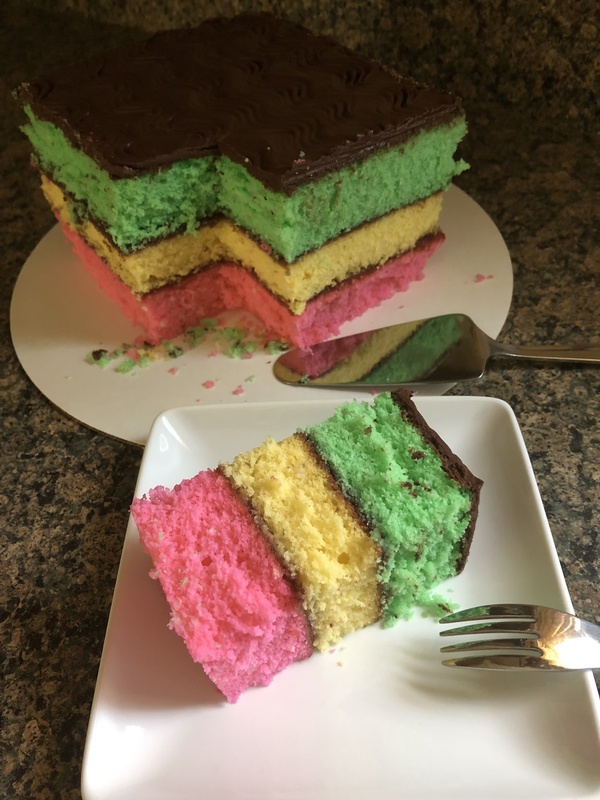 This cake might be a stretch as a holiday cake, but, since I normally make Rainbow Cookies around the holidays I figured a Rainbow Cookie Cake would be a nice addition as a holiday cake. It definitely has a bit of a wow factor and it’s much easier & quicker to make than the cookie version. One of the things that made this cake easy was using three boxes of white cake mix. I prepped each following the directions on the package and added in 1/2 teaspoon of almond extract to each. While the almond flavor was noticeable, I think it would have been better to add in 3/4 to 1 teaspoon of extract to each. Or, you could skip the extract altogether and grate in almond paste. I would suggest buying one package of almond paste and dividing it into three equal parts. Once the cake mix was prepped I then added in gel food coloring to achieve the pink, yellow & green colors. Here’s a tip, instead of adding a bunch of one color to achieve your desired shade, add in a little orange to the yellow, add a drop of red to the pink and a bit of blue for the green. This will also result in more vibrant shades of each color as well. 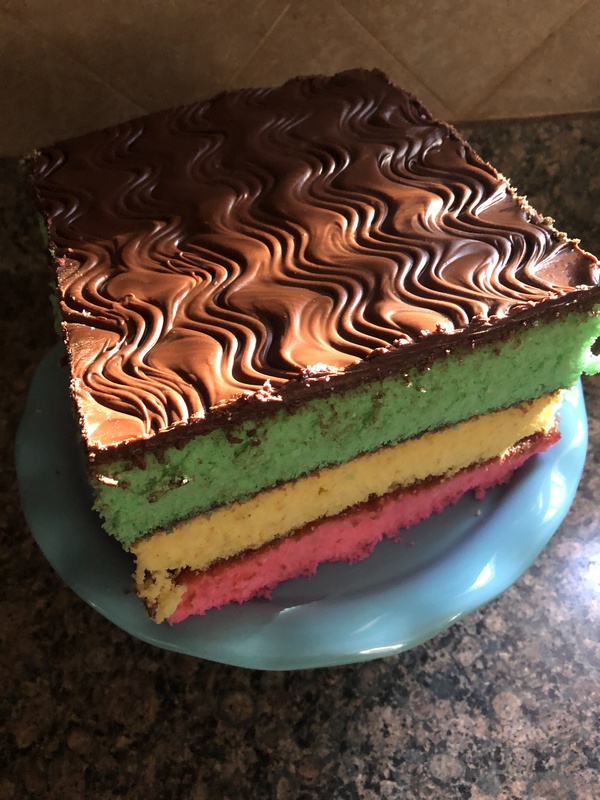 I baked each of the layers in a 9 inch square pan. 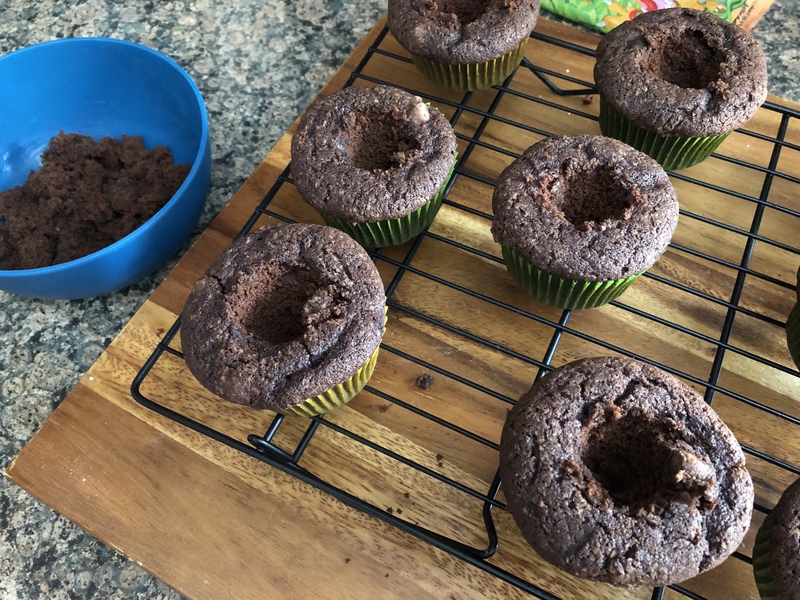 While the directions said to bake the cakes in a 350 F oven for about 35 minutes, I found that after 30 minutes my cakes were still undercooked so I lowered the oven temperature to 325 F and baked the cakes for an additional 10-12 minutes. I let the layers cool in the pan for about 15 minutes and then inverted them on wire racks to cool completely. 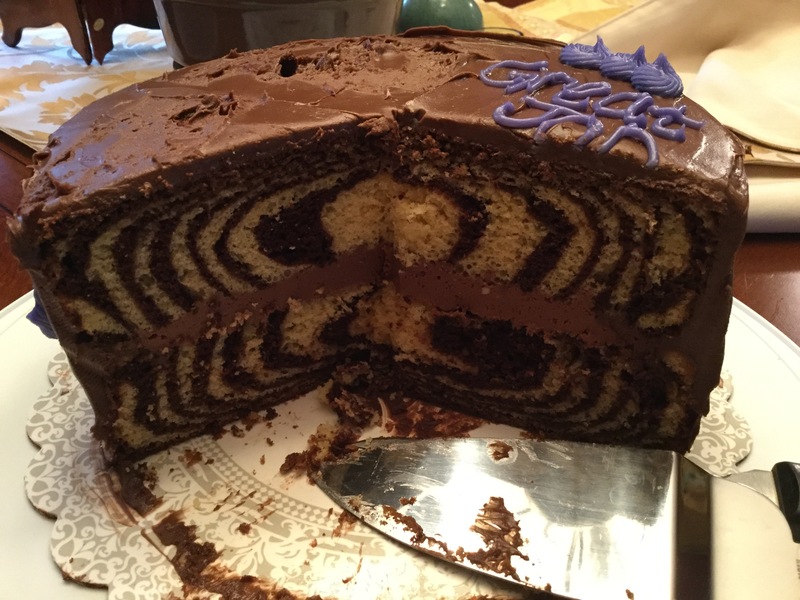 Once the layers were cooled I leveled each of them with a serrated knife. I placed the pink layer on a cake board, trimmed side up, and spread about 1/2 cup of raspberry jam. 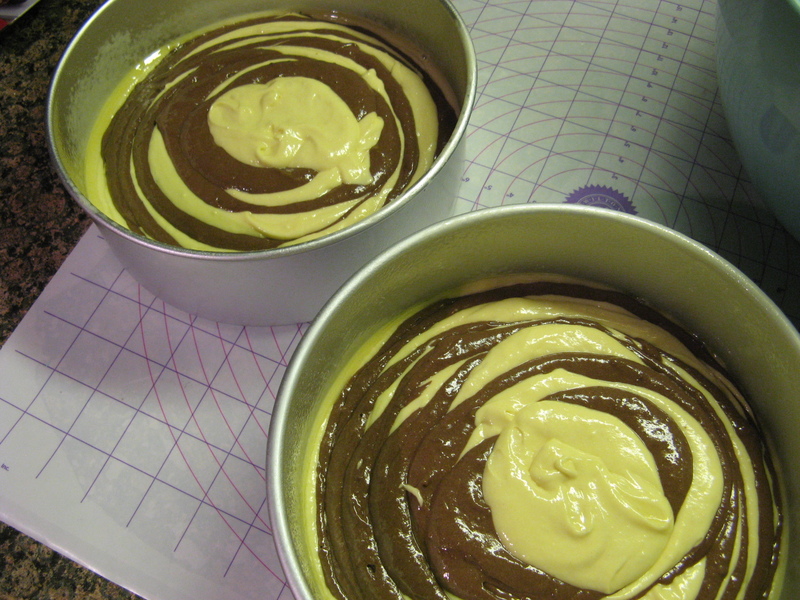 I repeated this step with the yellow layer and then topped the cake the green layer, trimmed side down. While the directions called for the cake to be frozen for 1 hour, unfortunately I used a round cake board that wouldn’t fit in my freezer so I ended up refrigerating it for about 2-3 hours. Don’t worry if your layers are not flush, i.e. 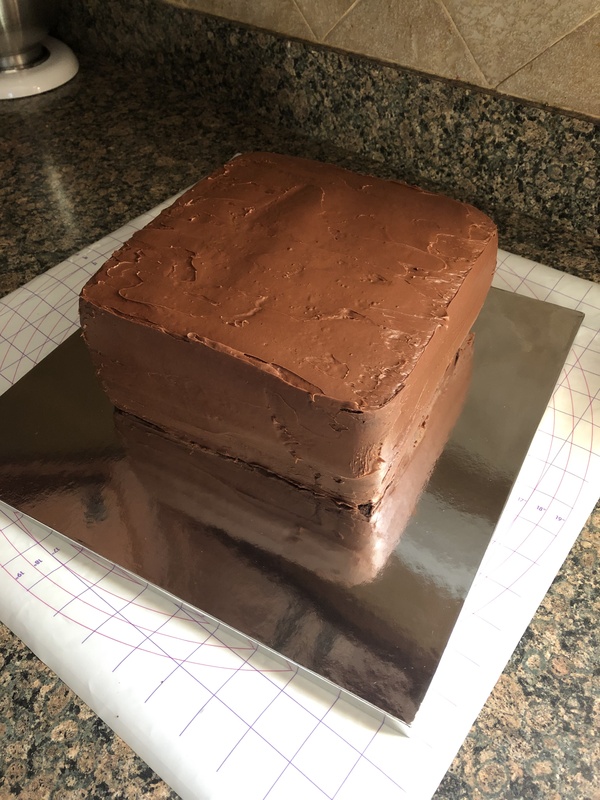 not the same width, you will be trimming the sides of the cake once you top it with chocolate. This ended up happening to me because while both of the pans I used were 9 inch squares the sides of one of the pans was straighter than the other. Before removing the cake from the refrigerator I made the chocolate topping. I melted chocolate and butter together in the microwave in 30 second intervals. Well, to be truthful, I microwaved it once at 30 seconds and the second time at 45 seconds and then stirred it together until smooth. I set it aside for about 10-15 minutes so it could cool and thicken before pouring it on the cake. If you pour it right away the chocolate will be too thin and just run down the sides of cake when you try to spread it. Also, you won’t be able to create the usual wavy lines in the chocolate that rainbow cookies normally have. Once the chocolate was ready I removed the cake from the refrigerator and poured the chocolate over the top and using an offset spatula I spread it into a thick even layer over the cake. And for the final touch, using the tines of a fork I created wavy lines in the chocolate. If you find that the chocolate isn’t holding the wavy pattern, wait a minute or two and then go over the patter again with the fork. It could just be that the chocolate needs to cool a bit more. I then returned the cake to the refrigerator so the chocolate could set, but, not harden. And finally, I trimmed all for sides of the cake. I did find this part a bit tricky as my cake was crumbling while doing so. Partly because, as per the directions, I only used eggs whites in the batter which produces a much lighter cake. 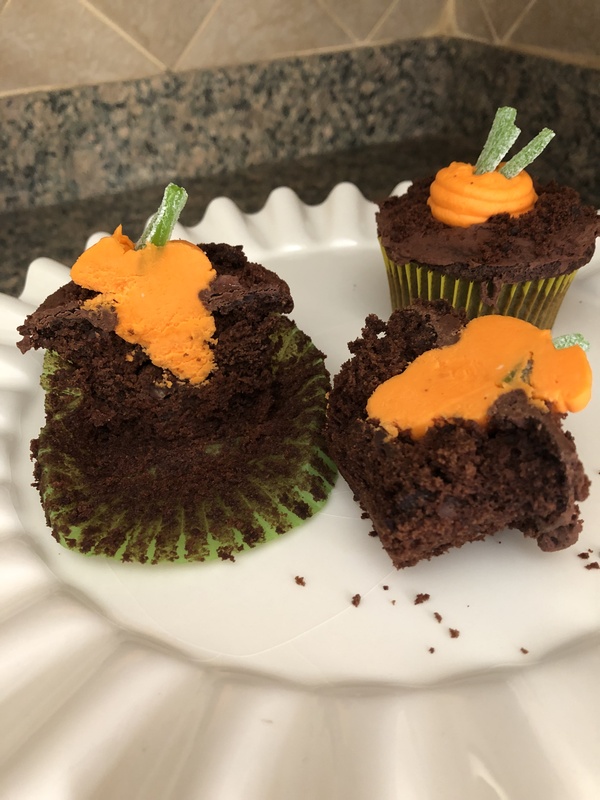 You could use whole eggs as opposed to the egg whites which would produce a denser and moister cake and one that is slightly yellower, which would be good when tinting the yellow layer of the cake. 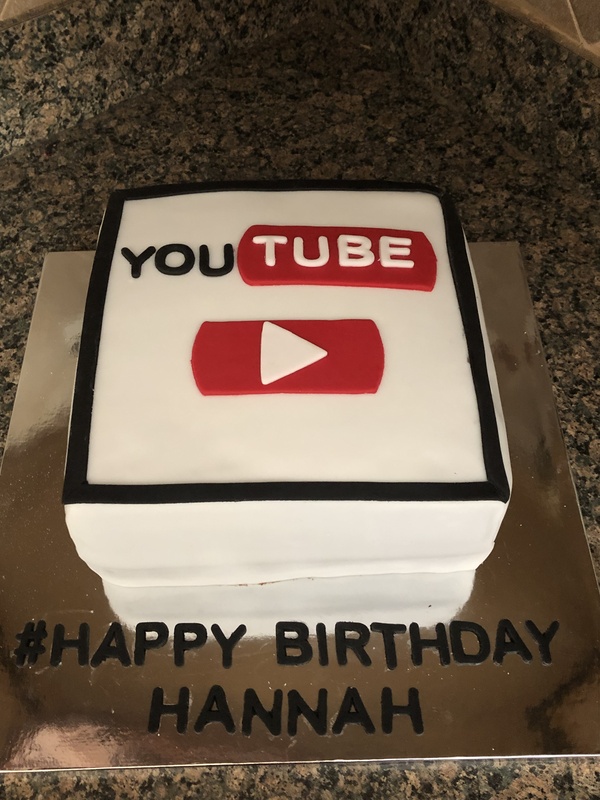 So, everyone who tried this cake, including me, loved it. They all agreed that it was light and not crazy sweet. The perfect type of dessert. Preheat the oven to 350 F. Spray a 9-inch square pan with baking spray and set aside. Prepare 1 cake mix per box directions adding in 1/2 teaspoon of vanilla extract. Tint with the pink food coloring, stirring well making sure no white streaks remain. Transfer to the prepared pan and bake in the preheated oven for 35 minutes. Let cool in the pan for 15 minutes and then transfer to a wire rack to cool completely. Repeat to make the yellow and green layers. Trip the tops of each of the cakes to make level. Don’t worry if the widths of the cakes are different, you will even it out at the end. Place the pink cake, trimmed side up, on a cake board and spread with 1/2 cup of jam. Top with the yellow cake, trimmed side up, and spread the remaining jam on top. Top with the green layer, trimmed side down. Freeze for 1 hour. Microwave the chocolate and butter together in 30 second intervals, stirring after each, until melted and smooth. Let it cool slightly. Pour the cooled chocolate over the top of the cake and using an offset spatula, spread the chocolate in a thick even layer over the cake. Using the tines of a fork create a wavy lines pattern in the chocolate. Return the cake to the freezer so the chocolate can set, but not harden, about 15 minutes. Using a long serrated knife trim all four sides of the cake. For a stronger almond taste try adding in more almond extract, or substituting it with almond paste. You can place the cakes in the refrigerator as opposed to the freezer, but, will need to leave them in longer. 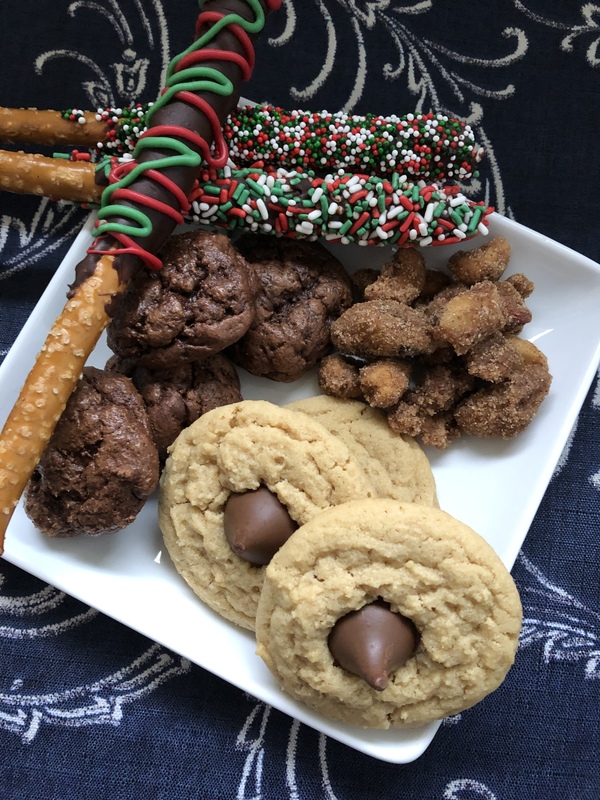 Welcome to Day 2 of Cookie Palooza 2018! Today I am bringing you a traditional butter bakery cookie. 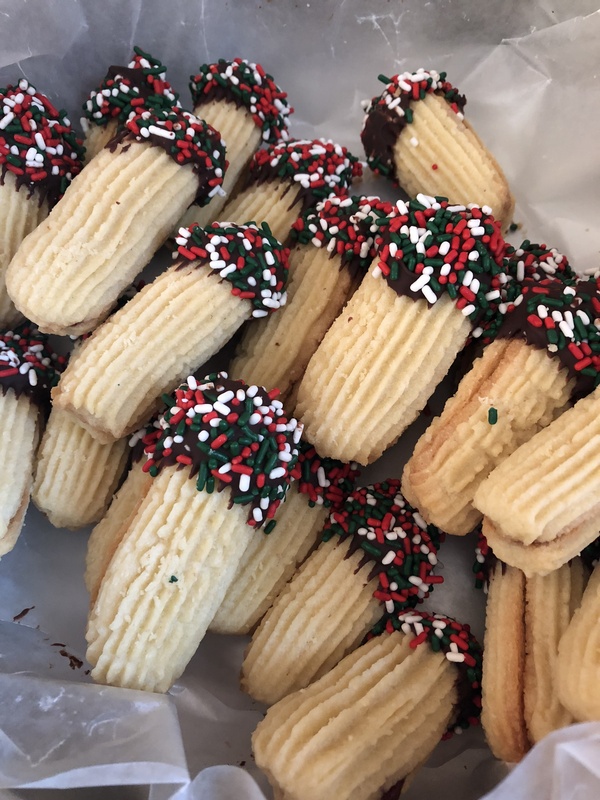 Not the round ones covered in sprinkles, but the long sandwich ones that are filled with jam, dipped in chocolate and then rolled in sprinkles. YUM! It’s actually one of my favorite cookies, but it wasn’t always. 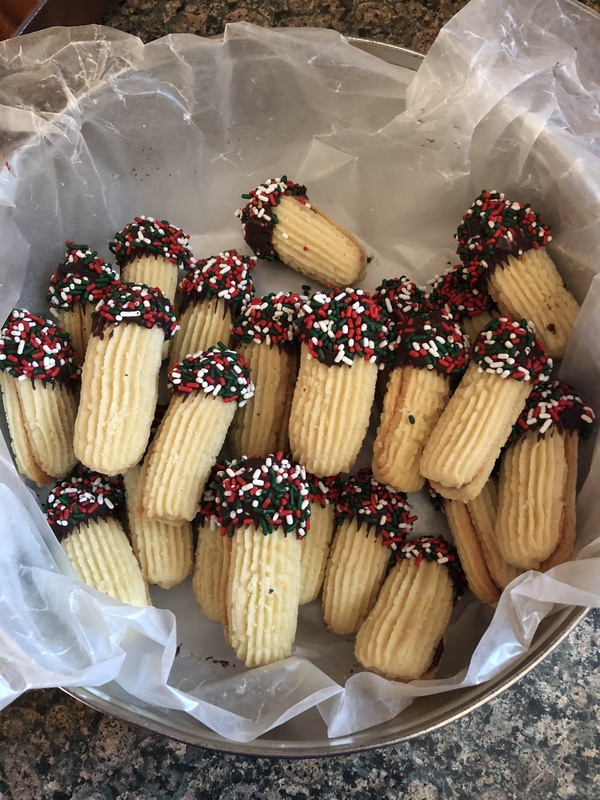 I used to buy a package of butter cookies from my local Costco and I would always eat the round ones with the sprinkles from the package, leaving the sandwich ones for my parents to eat. Then one day I tried them and realized that they tasted much better than the other ones. Unfortunately Costco changed their supplier and the new ones they carry do not taste half as good. They taste more artificial. Thankfully this homemade version fills the void. You may be slightly intimidated to make these cookies, but don’t be. 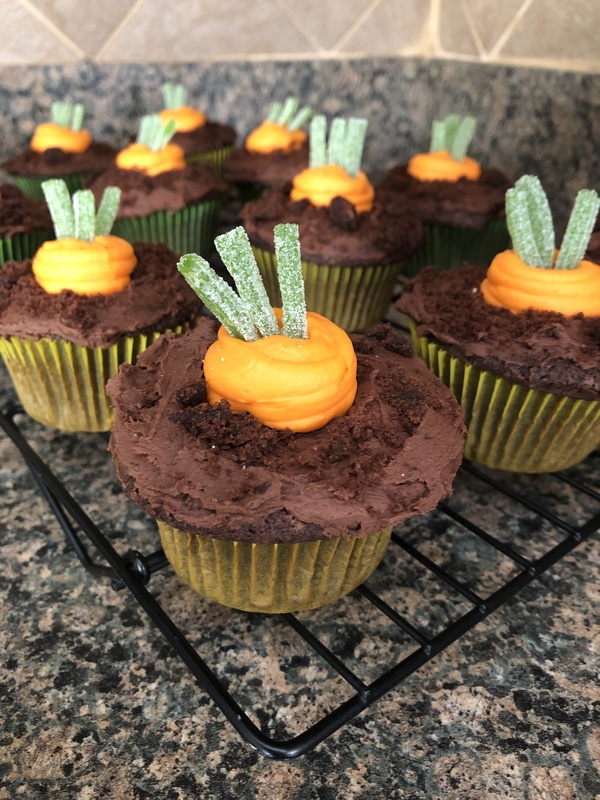 They are super simple and don’t require any special ingredients. The hardest part is squeezing the dough out of the piping bag onto the prepared baking sheet. But after a few squeezes the dough softens up and it becomes easier and you soon get the hang of it. Using a Wilton 6B Tip I piped the dough into 2-inch pieces on a parchment lined cookie sheet. To end the dough for each cookie you can cut them with a knife or scissors. What I did is a little harder explain. I kind of nudged the tip into the cookie sheet to end it. I tried using a knife and it just wasn’t working for me. 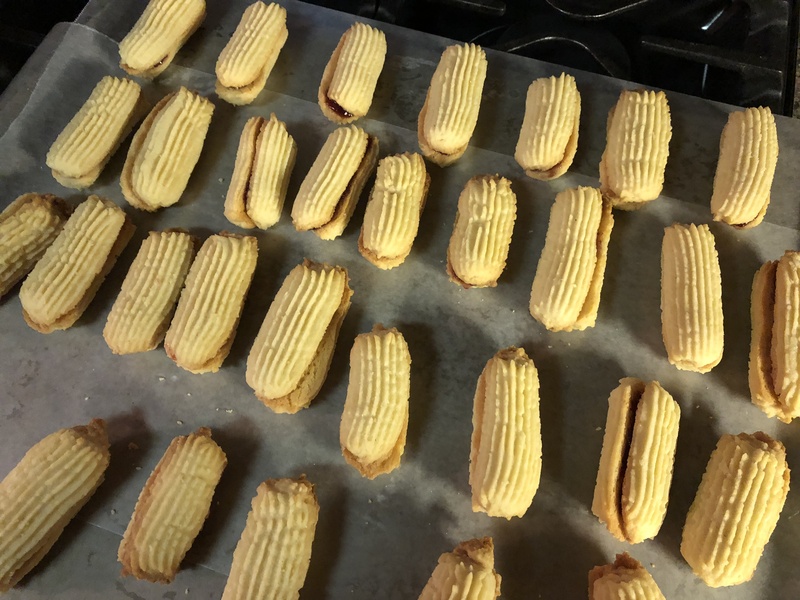 After you have piped all of your cookies bake them in a 350 F preheated oven for about 12 minutes. Let them cool completely and then the fun begins, the assembling. Before assembling I did my best to par up similar sized cookies. If they were off a little in length I dipped the mismatched end in the melted chocolate so no one would be the wiser. 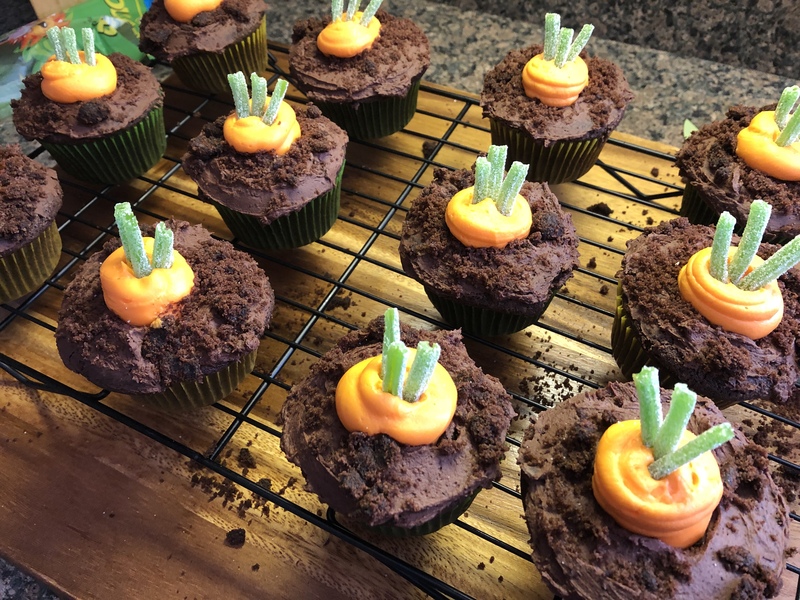 Next, I filled a piping bag with about half a cup of seedless raspberry jam to a piping bag (you could also use a small sandwich bag) and snipped off a small piece of the end. 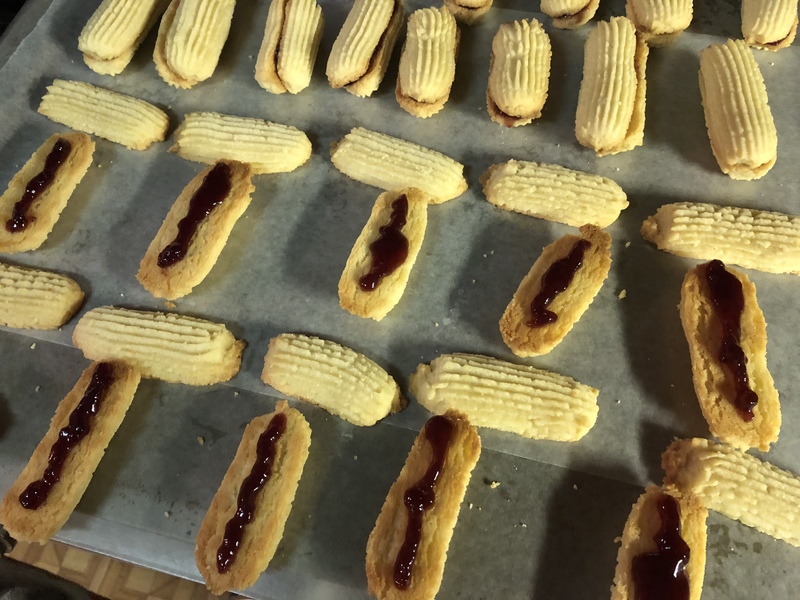 I piped a single line of jam down the center of one half of each cookie. I didn’t want to add too much jam as I didn’t want the jam to ooze out of the sides once the cookie was pressed together. Once I had all of my cookies sandwiches together I melted a bag of semi-sweet chocolate chips in the microwave in a deep enough bowl that would allow me to dip the cookies at least a third of the way in. To ensure that I didn’t scorch the chocolate, I melted it at 30 second intervals and stirred between each. Once the chocolate was about 3/4 quarters of the way melted I continued stirring it to melt the rest of it. You could also melt the chocolate in a small saucepan on your stovetop if you choose. Just keep an eye on it so it doesn’t burn. In a shallow bowl I poured out some sprinkles- you will need a decent amount. 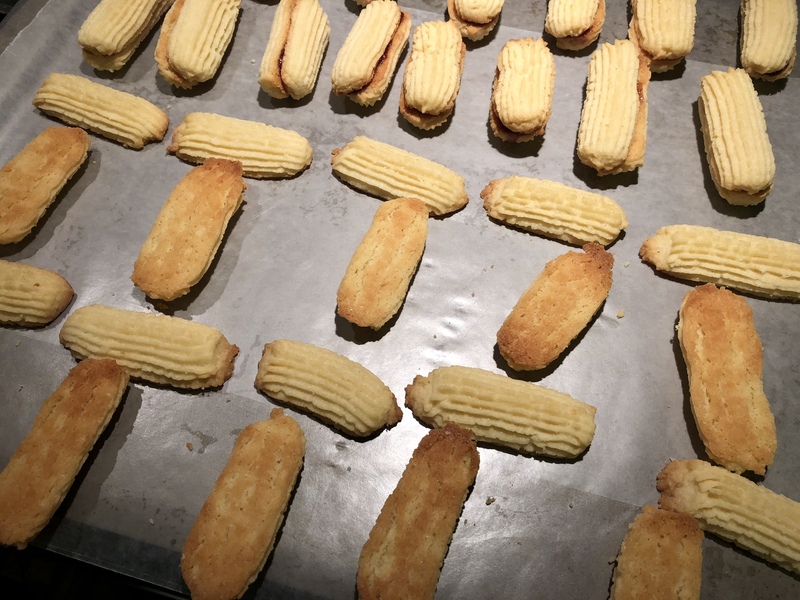 I also lined two baking sheets with wax paper to place the cookies once they were decorated. I began by dipping a cookie in the chocolate, allowing the excess to drip off. I actually used a knife to wipe off some of the excess. 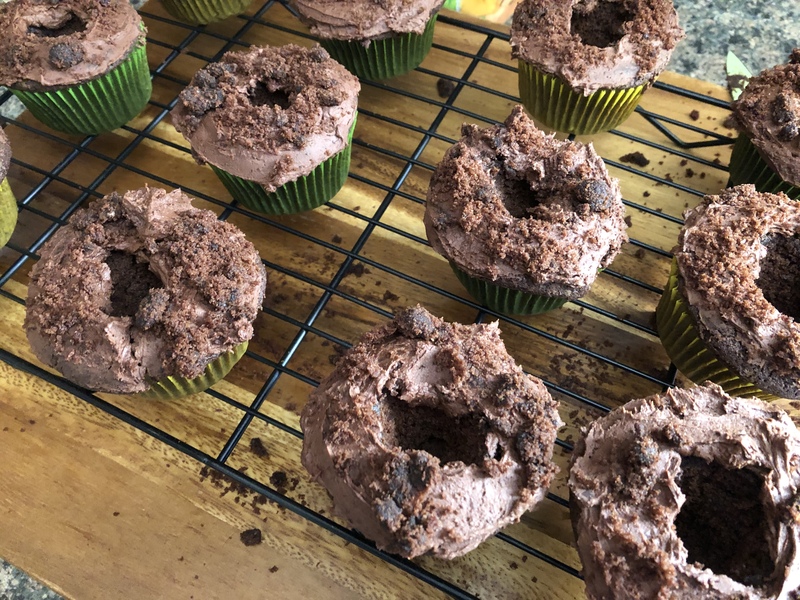 If you leave too much chocolate on the sprinkles will just slide off. Next I rolled the cookie in the sprinkles and placed it on the prepared baking sheet. Once I was done I placed the baking sheets in the refrigerator for a few minutes so the chocolate could set. And there you have it…. Easy to make fancy bakery cookies that will impress everyone you share them with! Combine the butter and sugar in a large bowl and beat on medium speed with a hand mixer until well combined. Add the egg yolks, vanilla extract and salt and beat until combined, scraping the bowl as necessary. Add the flour and mix until just combined. Fit a star tip with a 1/2-inch opening on a piping bag and snip off the end. Transfer the batter to the bag. Pipe the dough into 2 inch long segments about 1 inch apart on the prepared baking sheet. You can use a knife or scissor to cut the pieces. Bake the cookies for 11 to 13 minutes, until they are golden at the edges. 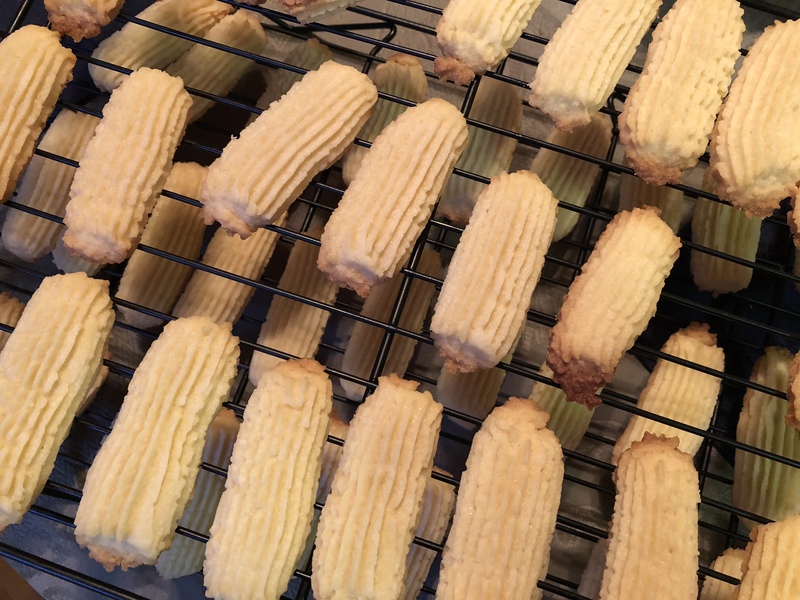 Let them cool for a few minutes on the baking sheet and then transfer to a wire rack to cool completely. Set aside the parchment lined baking sheets. Place the jam in a sandwich bag (or another piping bag) and place the sprinkles in a shallow dish. Once the cookies are cool, flip half of them over and snip a small corner of the jam filled bag. Squeeze a little jam down the center of each flipped cookie. Don’t squeeze too much jam on the cookies as you don’t want it to ooze out when sandwiched. Top with the other half of the cookie. 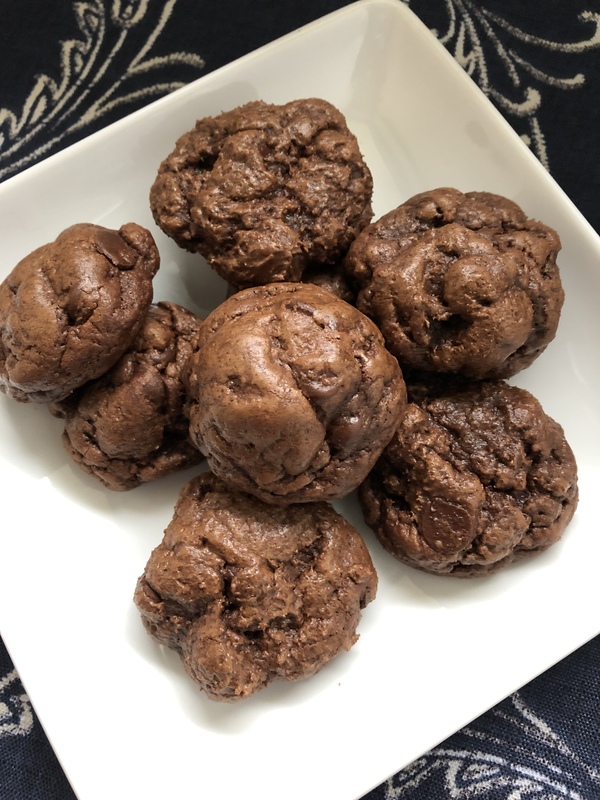 Melt the chocolate chips in the microwave or a small saucepan until they are three-quarters of the way melted and then stir to melt it completely. Place the chocolate in a bowl deep enough for dipping the cookies about a third of the way in. 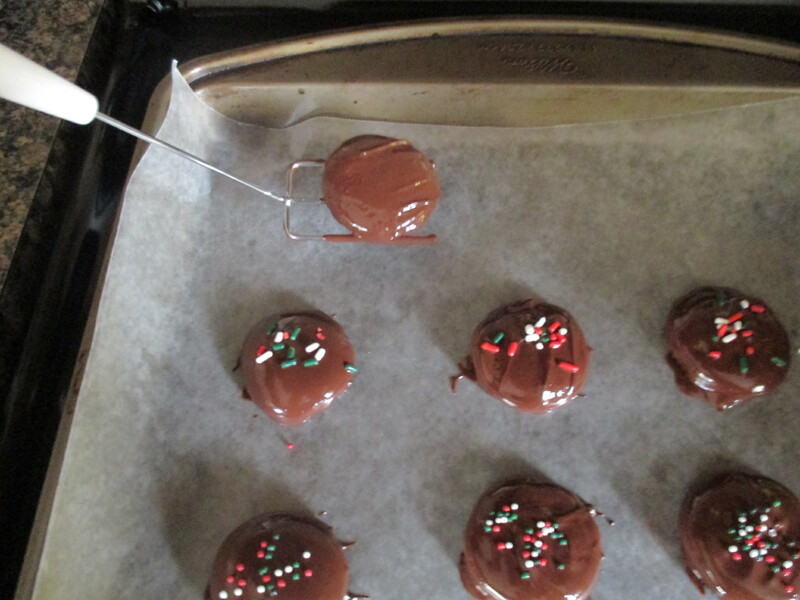 Dip the sandwiched cookies into the melted chocolate, letting the excess drip off, and then roll in the sprinkles. Place on the baking sheet. Once all cookies have been decorated place the cookie sheets in the refrigerator so the chocolate can set. I recently made a cake to celebrate a friend’s daughters (aka my nieces) dance recital performance – it was their first. Since I was making a cake for one of their birthdays the day before I didn’t want to make another chocolate cake for their recital celebration. 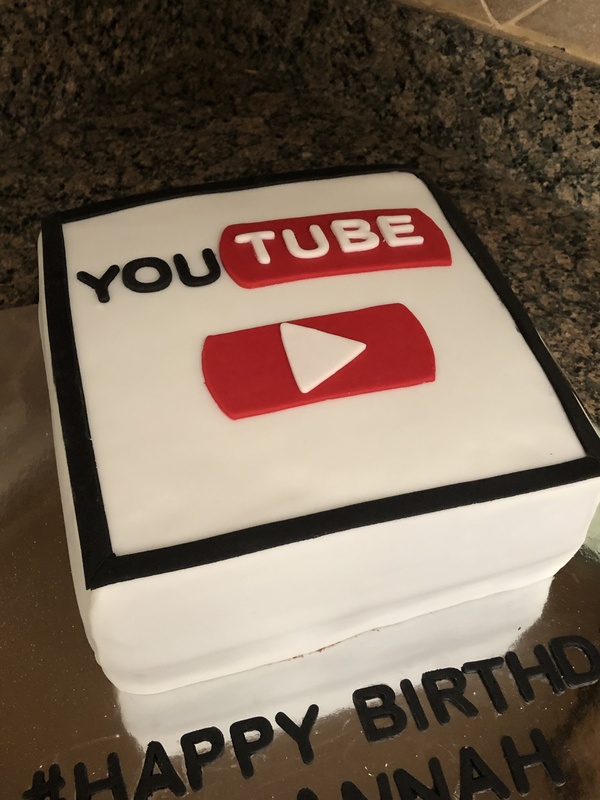 And since I was making a themed cake for that birthday I also didn’t want to make a cake that I would have to heavily decorate – I was actually able to find doll-sized versions of their dancing shoes to top the cake with so I figured that was perfect enough decoration. So, I figured I should do something special with the inside. 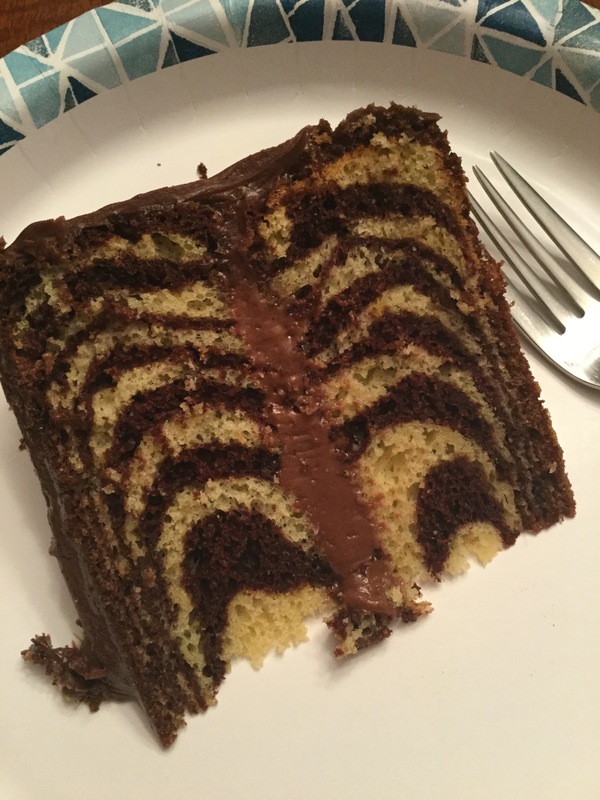 After a little thought I decided to make a zebra cake with a Nutella mousse filling since they both like the hazelnut spread. 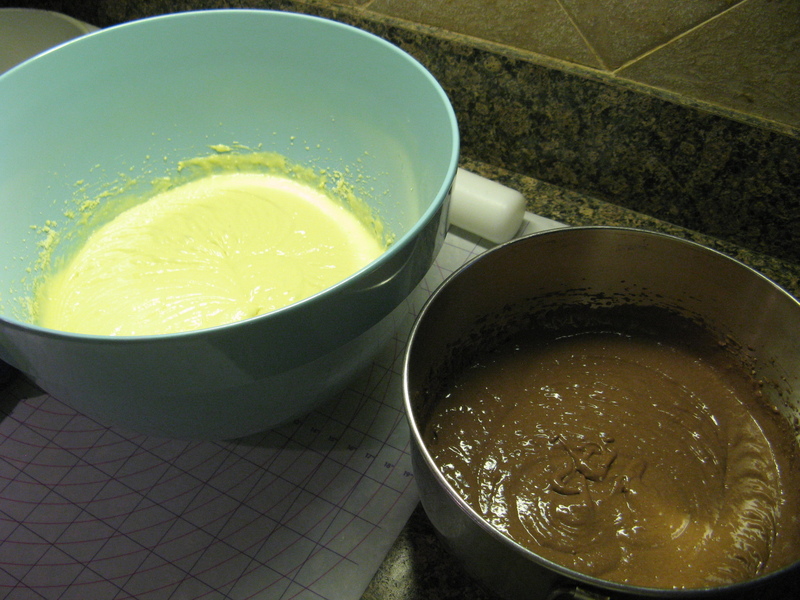 To make things super easy I went with box cake mix – a yellow cake mix and a chocolate cake mix. I prepared both per the box directions. Whenever I use cake mix I normally use Duncan Hines. One of the reasons, and it will sound silly, is because it has a Wilton approved emblem on it. 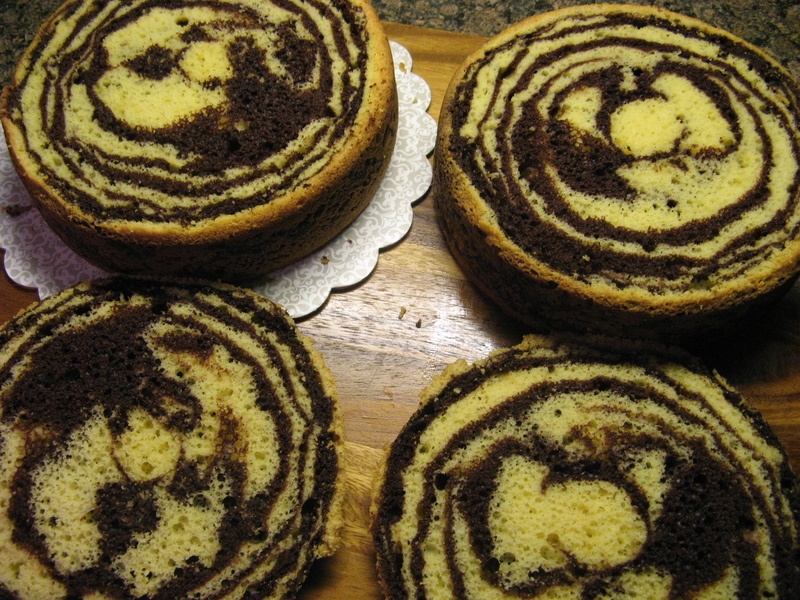 Truth be told though, Duncan Hines is perfect for making a zebra cake because they do not have pudding in the mix which can make the cake batter thick and not ideal for making this cake. 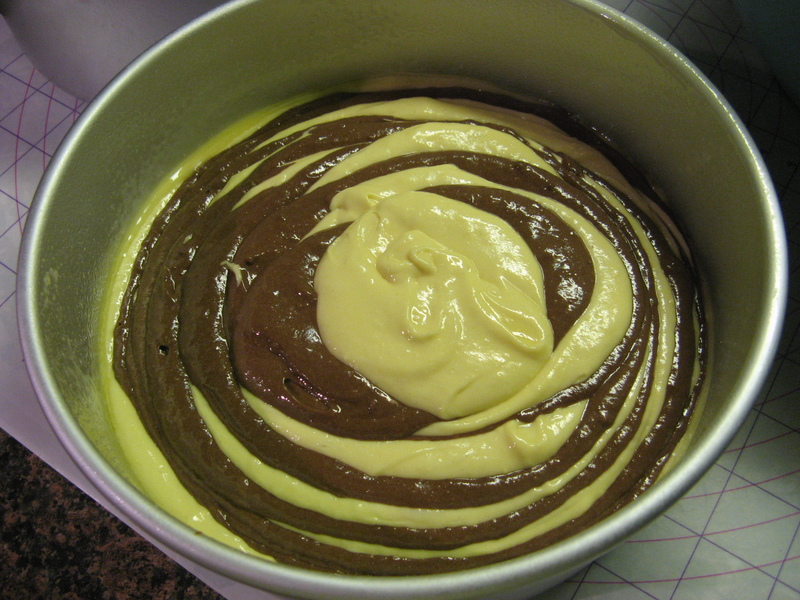 Once my batters were prepared, I poured a ¼ cup of the yellow cake batter in the center of two 8-inch cake pans that I sprayed with baking spray. 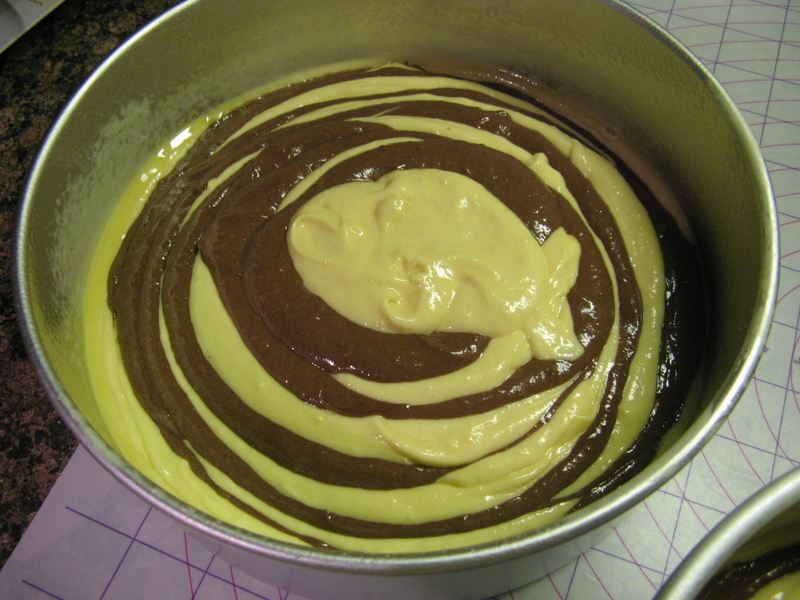 Next, I poured a ¼ cup of the chocolate cake batter in the center of the yellow cake batter, and then a ¼ cup of the chocolate cake mix in the center of the previously poured yellow cake mix. I continued in this pattern until the pan was about 2/3 full. You won’t use all of the batters, but, just about. I gently tapped the pans down and then baked them in a preheated 350 F oven for about 45 minutes, until a cake tester inserted in the middle came out clean. I let the cakes cool in the pans for about 15 minutes and then inverted them on cooling racks to cool completely. One cooled, I torte the cakes to remove the dome that formed on both. The zebra pattern was instantly visible and I was quite excited that it worked. 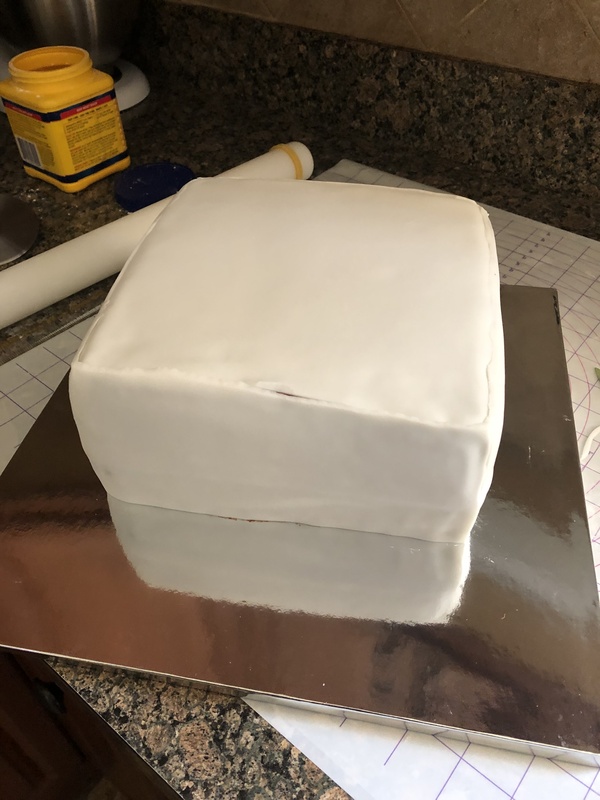 The pattern was even more visible once the cake was layered and cut into. 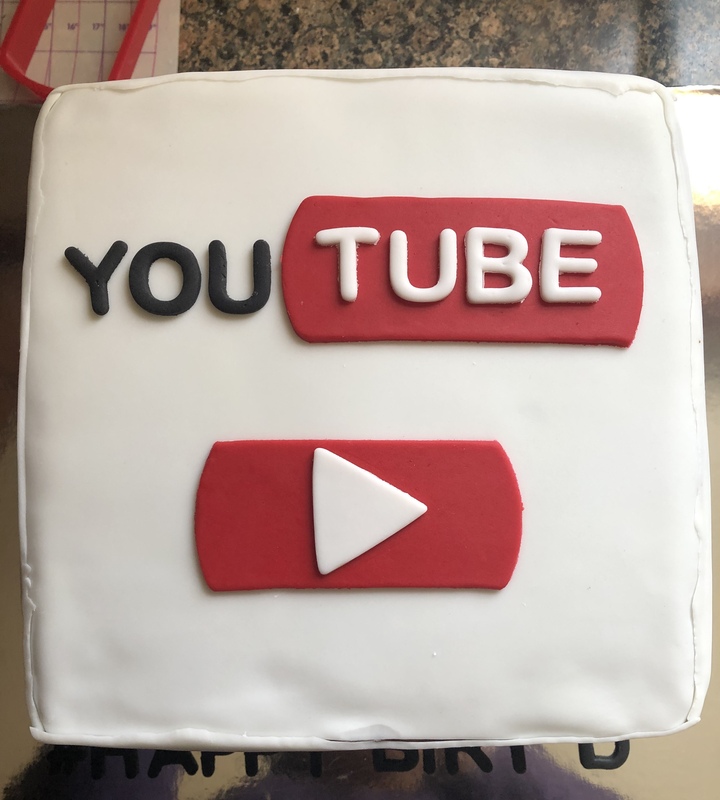 You could really customize this cake. 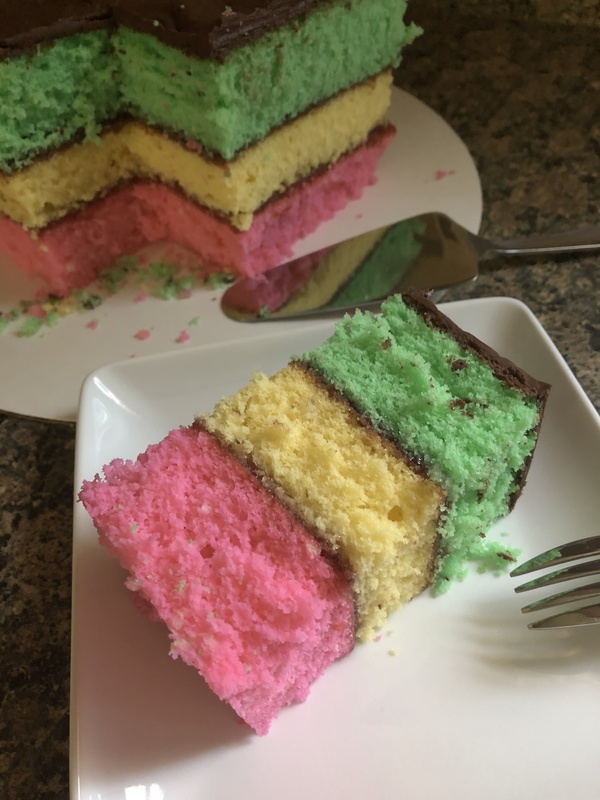 Use a white cake mix and tint it colors to show your team spirit, someone’s favorite colors or even a gender reveal cake. 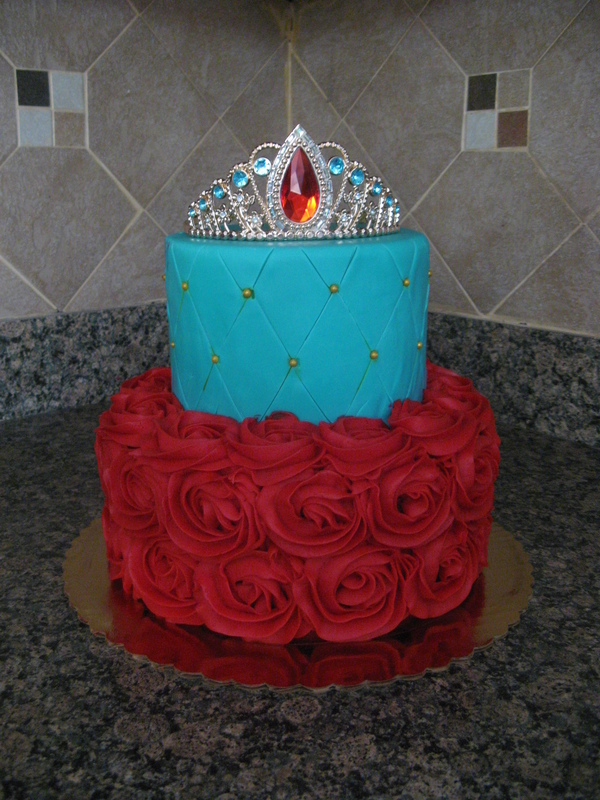 And here’s a pic of the birthday cake I made the same weekend – An Elena of Avalor themed cake. I hope you’ve enjoyed this week of cookies. 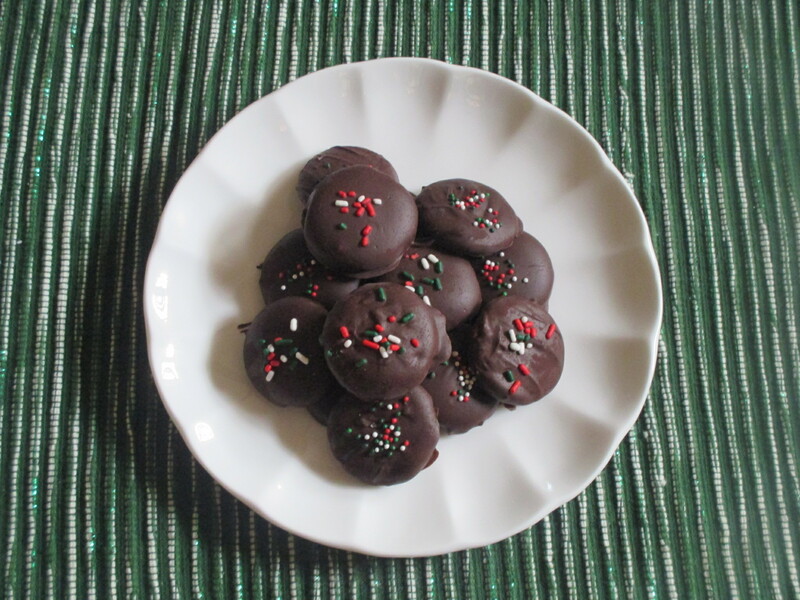 I’m ending Cookie Palooza 2017 with an easy no bake cookie that only requires three ingredients, four if you count the sprinkles… Peppermint Chocolate Wafers. First ingredient… Melted semi-sweet chocolate. I melted the chocolate using a double-boiler. You could melt the chocolate in the microwave (which was always my preferred method,) but I find melting the chocolate in a double boiler minimizes the chance of scorching the chocolate and you can keep it warm while you’re working so it will stay smooth and thin. Whereas when you melt it in the microwave after a few minutes the chocolate begins to thicken. Creating a double boiler is quite simple… fill a medium saucepan about a little less than halfway with water – you don’t want to fill it too much because then when you place the bowl in the water it will spill over. Bring the water to a boil and then reduce the heat so the water is simmering. Place a heatproof bowl in the water, add chopped chocolate and stir occasionally until the chocolate has melted. Once the chocolate has melted, reduce the flame to low to keep the chocolate warm and add in the peppermint extract (the second ingredient), stir to mix in. Once you are done dipping the cookies place them in the refrigerator for about 10-15 minutes so the chocolate can harden. And that’s it! A simple cookie that’s perfect for the season and best of all, doesn’t require you to turn on your oven. Melt the chocolate using a double boiler on medium to medium low heat. Once the chocolate has melted add the peppermint extract and stir well to combine. 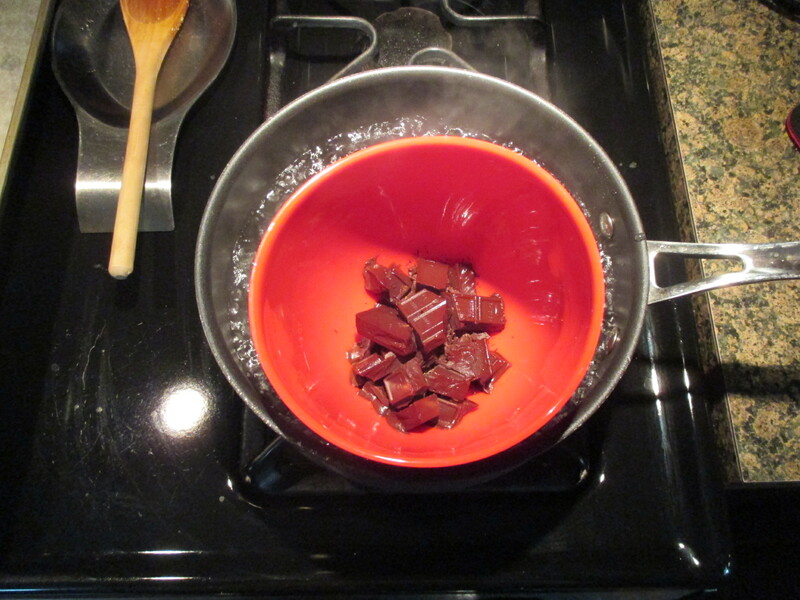 Keep the heat on low for the double boiler so that the chocolate will remain smooth and thin. Dip the wafers in the chocolate one at a time, making sure to coat the entire cookie. Remove from the chocolate and let the excess drip off before placing on a wax paper lined baking sheet to set. 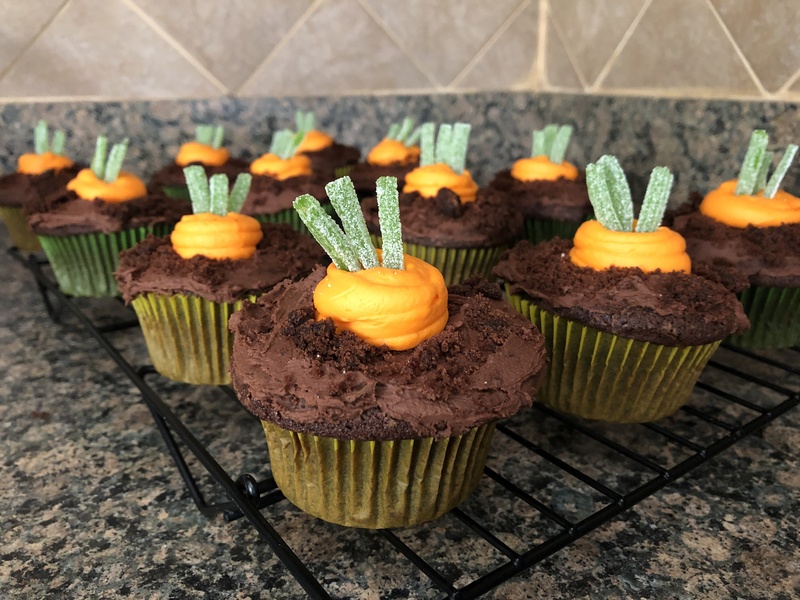 Sprinkle with sprinkles or crushed peppermint candy. Or let the chocolate set for a few minutes and then drizzle with the left-over melted chocolate. Place in the refrigerator so the chocolate can harden. Store in an airtight container. **The ratio of peppermint extract to chocolate I used was 1/4 teaspoon per 4 oz.